Despite his amazement and certainty that he’d been healed of Parkinson’s he didn’t say a word to anyone. 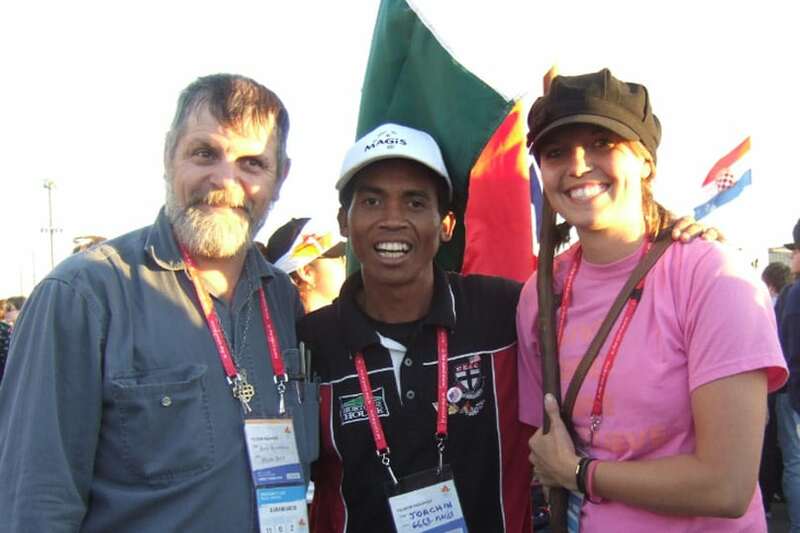 It was during the final Mass at Randwick Racecourse, celebrated by Pope Benedict XVI, that while holding hands with her father Jessica noticed the tremor in his arm had gone. 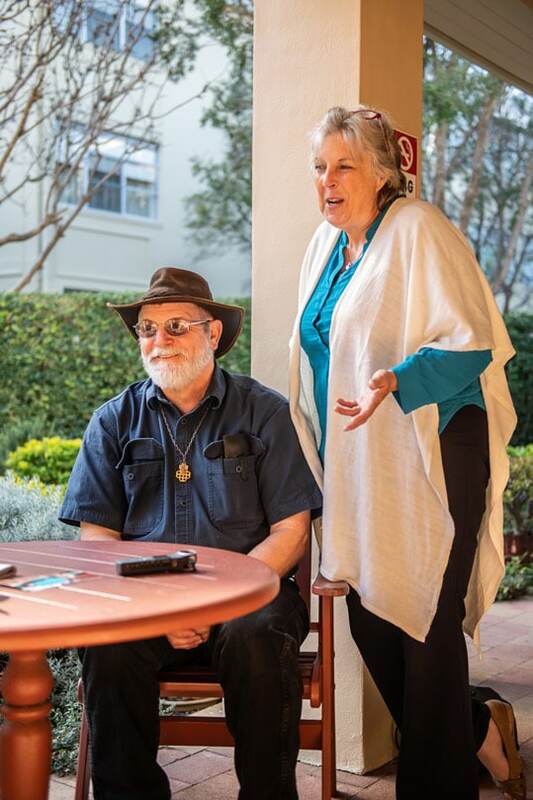 The couple spoke to The Catholic Weekly at Mary MacKillop Place in North Sydney on his return visit of gratitude; the visit is her first to Australia. 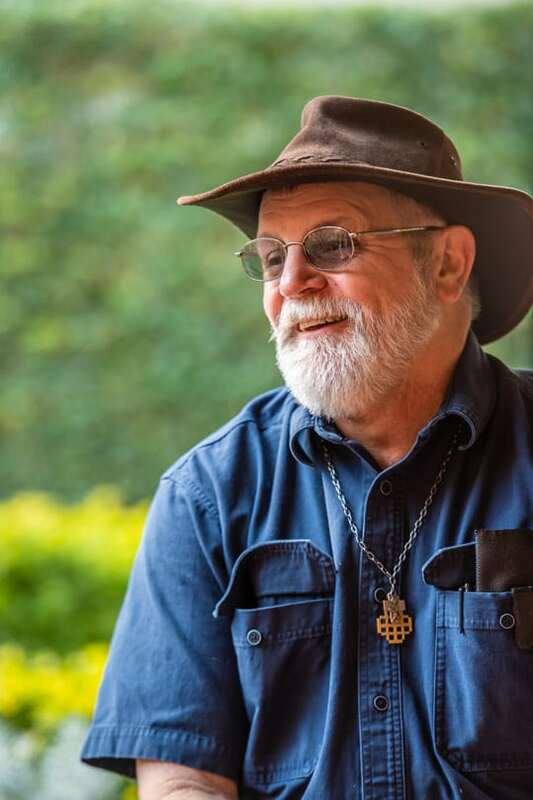 Ricky said the Sisters of St Joseph documented what had happened to him and told him that if the second miracle being investigated for Mary’s canonisation was not approved, then his case was one of two they would “start moving forward.” This proved unnecessary however as the second miracle—the healing from lung and brain cancer of Australian woman Kathleen Evans—was eventually approved. 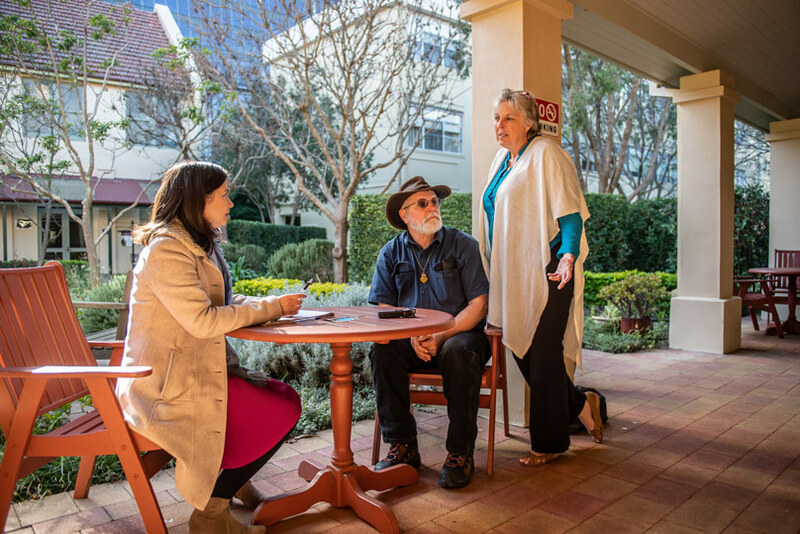 Ricky, who works as an electrician, had watched his own father die from complications of Parkinson’s, a disorder of the central nervous system that often causes tremors. He says that if he had not been healed, he would now be retired due to disability. “I may not even be still alive,” he said. When he had arrived in Sydney in 2008 he was suffering from a severe right arm tremor that was with him 24 hours a day, seven days a week, and was exacerbated by tiredness and stress. He now believes that the healing of his debilitating illness had occurred at the very moment he prayed at Mary’s tomb. Ricky and Maura were invited by the Sisters of St Joseph to attend Mary’s canonisation in 2010. “It was amazing because the Sisters gave us two tickets right up the front [in St Peter’s Square] with them,” Ricky said. 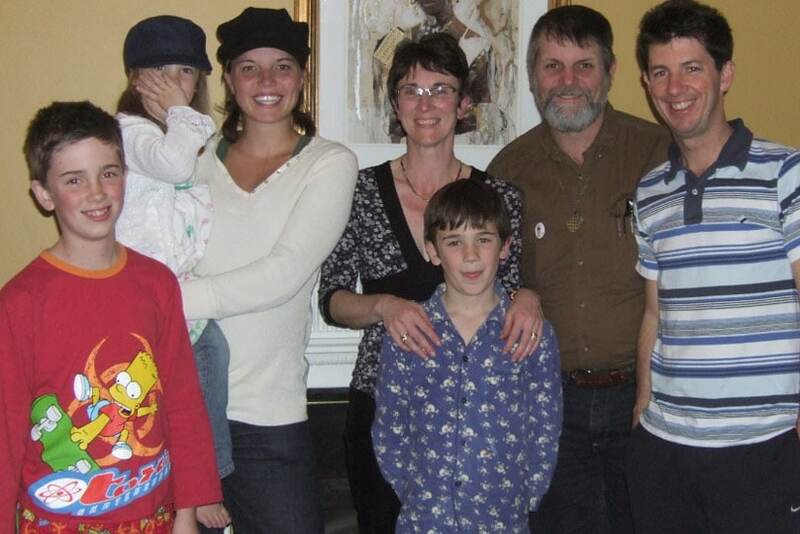 Over the past ten years, Ricky says, he has not had even the slightest sign of the Parkinson’s returning. Maura believes Ricky was healed because he asked God in a way that was not grasping. Ricky now shares his amazing story with anyone who will listen, believers and unbelievers alike. “I share my story with people at work. I even share it with people at the gas pump,” he said. 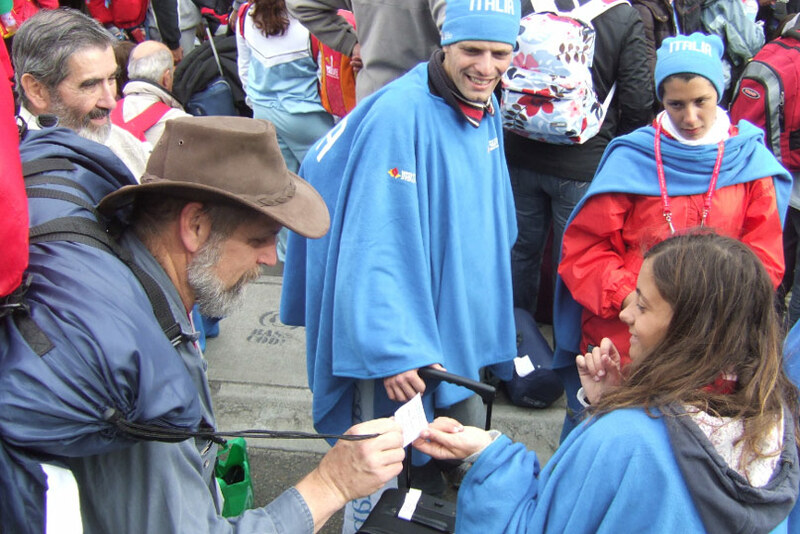 He constantly carries with him a stack of holy cards bearing one of Mary’s MacKillop’s most well-known quotes: “Never see a need without doing something about it.” He hands them out to anyone who will take one. Ricky said it was a dream come true to be able to return to Sydney with Maura for the ten year anniversary of his healing. “The city is as beautiful as I remember,” he said. 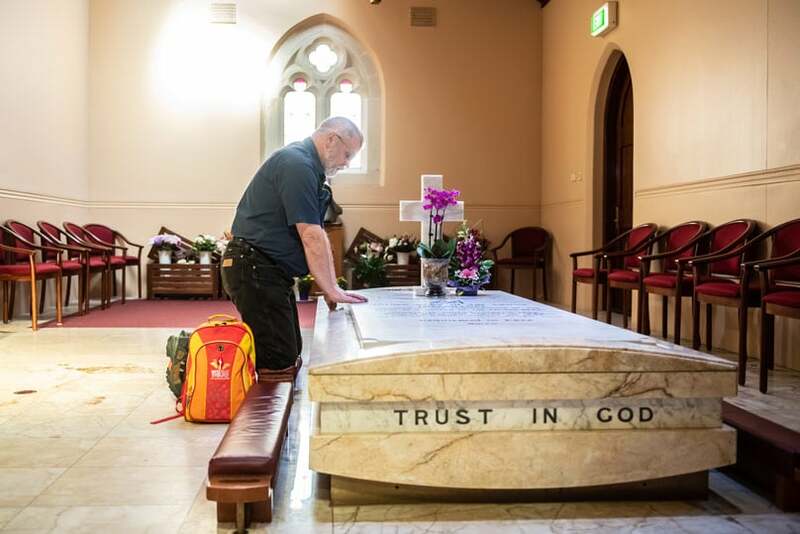 He still has a very close relationship with the Australian saint who changed his life.